Authors: Thomas E. Oberst, Joseph E. Rodriguez, Knicole D. Colón, et al. First author’s institution: Department of Physics, Westminister College, New Wilmington, PA.
On KELT-16b you would melt. I would melt too. Why? Because KELT-16b, a newly discovered gas giant exoplanet, orbits extremely close to its host star. And due to its close orbit, KELT-16b receives tremendous amounts of radiative energy from its host, raising its surface temperature to around 2500K—rocket-exhaust levels. We call KELT-16b, and other high-mass high-temperature gas-giant planets, Hot Jupiters (see Figure 1). Additionally, KELT-16b’s close-in orbit means that it orbits its host star extremely fast: a year on KELT-16b is less than an Earth-day. 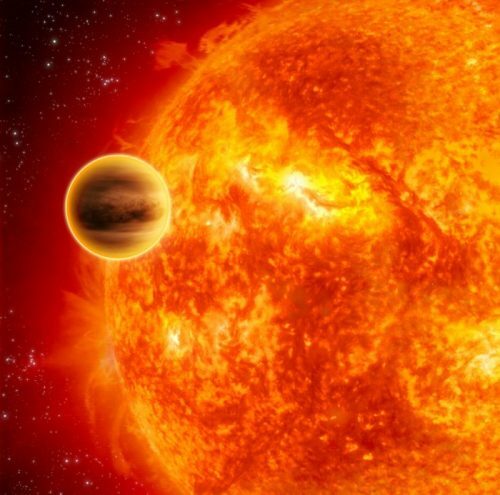 There are only few other Hot Jupiters known with such ultra-short periods. In today’s astrobite we’ll take a closer look at this new exciting Hot Jupiter, and see why KELT-16b is a valuable addition to this group of boiling gas giant planets. 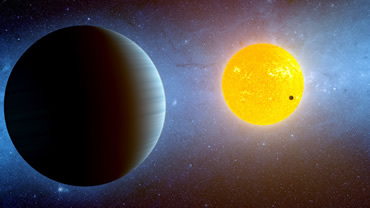 Figure 1: Figure 1: An artist impression of a hot Jupiter: a massive gas giant orbiting close by its host star. Image credit: NASA/JPL-Caltech. 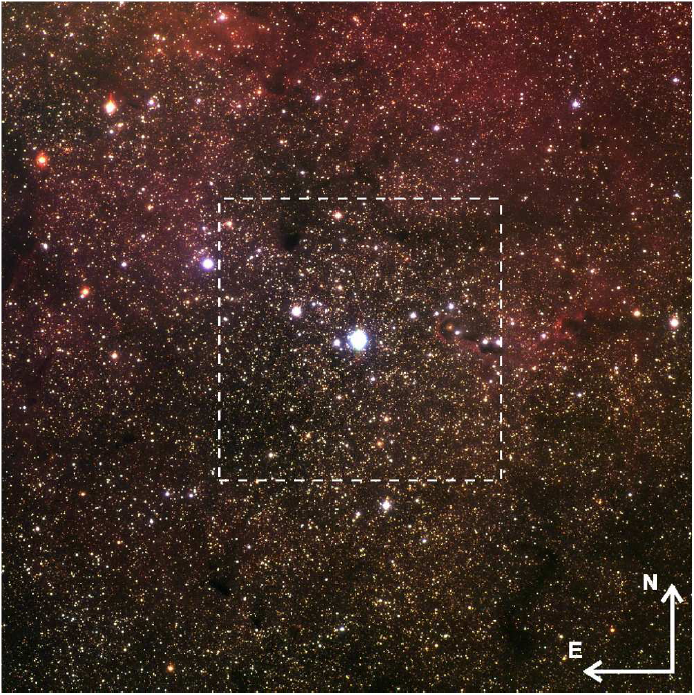 KELT-16b was discovered by the The Kilodegree Extremely Little Telescope (KELT; see astrobite here). The KELT program is composed of two small ground-based telescopes: one in the North hemisphere, and the other in the South. KELT searches for nearby transiting exoplanets by continuously surveying the observable sky. Being a wide-angle survey, KELT is best suited at finding massive planets orbiting close-by their host star—i.e., hot Jupiters similar to KELT-16b. Figure 2 shows the transit light curve leading to the discovery of KELT-16b. The data in Figure 2 show a significant dip at phase 0, indicative of a planet transit. The black data-points show the observed data, while the red data-points show the same data binned to 8min bins. To verify the detection, check for false-positives, and better resolve the transit profile, the KELT team followed up with the exciting new planet candidate. 19 other telescopes, participating in the KELT Follow Up Network (KELT-FUN), observed the target from May to December of 2015. Figure 2: The discovery light curve of KELT-16b, containing over 5000 observations (black points) by the KELT-North telescope over six years, phase folded to the best fit orbital period (about 0.97 days). The red points show the same data binned to 8min bins. Figure 1 from the paper. The light curve in Figure 2 gives information about the radius of the planet. Using Doppler spectroscopy—the measurement of the stellar ‘wobble’ caused by an orbiting companion—the authors measured the mass of the planet. Having both mass, and radius, the authors can estimate the bulk density of KELT-16b: 1.2 g/cm^3, slightly higher than that of water. Find me a hypothetical pool large enough, and enough water to fill it, and together, we could sink KELT-16b. 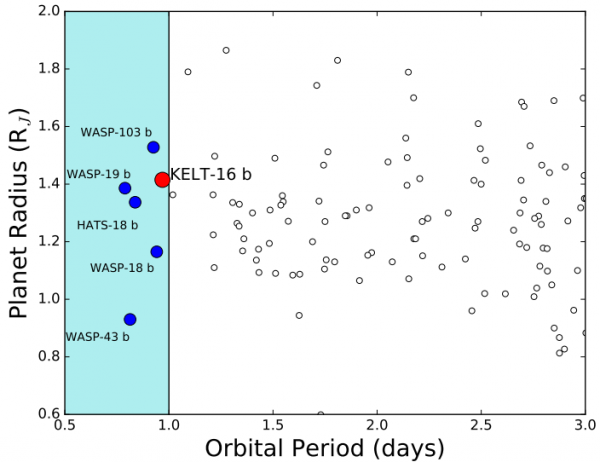 KELT-16b is in a select group of ultra-short (<1 day) orbital period giant planets orbiting bright host stars (see Figure 3). Figure 3: A figure comparing KELT-16b to other similar Hot Jupiters in the planet radius, planet orbital period plane. KELT-16b is one of the select few Hot Jupiters known with an orbital period less than a day. This group of short orbital period transiting planets has a number of practical advantages for future transit observations—and especially so for transmission spectroscopy observations to understand the chemical nature of their atmospheres. Transmission spectroscopy is the study of light as it passes through the atmosphere of a planet during a transit, you can see more astrobites on transmission spectroscopy here and here. First, the short period and fast orbital speed of these Hot Jupiters shortens their transit duration. This means that we need less telescope time to observe a transit, an important consideration for oversubscribed telescopes—especially so for space-based telescopes like Hubble, Spitzer or JWST. However, if more telescope time happens to be available, then it is easy to observe multiple transits. The resulting observations can then be stacked together to get a more precise transit light curve. Additionally, due to their relatively short transit, it is easier to cover the full transit in a single continuous observation. This makes it easier for ground-based telescopes to observe these transits, as they are periodically interrupted by the rising Sun. It is for these reasons that all the other planets in Figure 3 have been observed extensively since their discovery. KELT-16b will be no exception; KELT-16b is exciting.